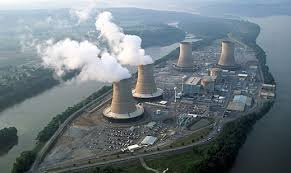 On February 4, Exelon Generation reported its Pennsylvania nuclear plants operated at full power, producing enough electricity to keep five million homes and businesses safe and warm during the recent polar vortex. Daytime temperatures in the Philadelphia region dipped to six degrees Fahrenheit last week and wind chill factors were recorded as low as minus 35, breaking a record set back in 1948. Exelon Generation's nuclear fleet, which includes 13 facilities in Illinois, New York, Pennsylvania and Maryland, recorded near-perfect reliability last winter as well. During the 2014 Polar Vortex, Exelon Generation’s nuclear fleet was critical to meeting electricity demand, as coal piles froze, and natural gas supplies were re-routed for home heating. Winter resiliency and reliability requires year-long planning, preparation and maintenance. Exelon Generation workers spend months ensuring that backup generators and spare equipment is ready for inclement weather. This fall, operators and maintenance personnel inspected freeze protection systems, tested electrical equipment, and properly aligned plant systems to prepare all Exelon Generation-operated facilities for sub-zero temperatures, icy conditions and heavy snowfall. These efforts are in addition to the many equipment upgrades and "winter readiness" maintenance activities performed during refueling outages. -- Prices did not skyrocket out of control.